Mail address: 158 Cours Fauriel, CS 62362, 42023 Saint-Étienne, France. Office: Room 321 Espace Fauriel, 29 Rue Pierre et Dominique Ponchardier, 42100 Saint-Étienne, France. with major African universities and the support of the R20. L’École Nationale Polytechnique d’Oran Maurice Odin (Algérie), l’Université Senghor d’Alexandrie (Egypte) and the R20 fondation, « Regions of Climate Action ». L’Institut National Polytechnique Félix Houphouët-Boigny (INPHB), l’Université Senghor d’Alexandrie (Egypte), the R20 fondation, “Regions of Climate Action” with the support of the “Chambre de Commerce et d’Industrie de Côte d’Ivoire”. PhD in Economics of innovation from Université Jean Monnet – Saint-Etienne, France. Master degree in Economics, Law and Management from Université Jean Monnet – Saint-Etienne, France. Bachelor in Economics and Business Management from Université Paris I, Panthéon Sorbonne. 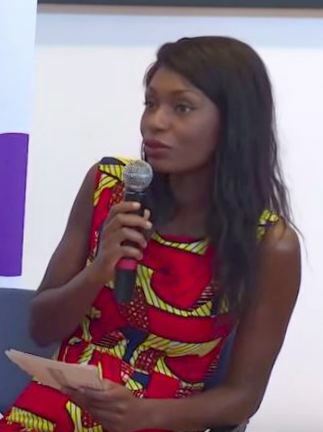 Michelle Mongo graduated from the Université Jean Monnet – Saint-Etienne with a Master’s Degree in Economics, Law and Management, and a PhD in Economics of innovation. She is an research engineer at the Henri Fayol Institute of the “École des Mines de Saint-Étienne” (France), and collaborate with Senghor University, Alexandria, Egypt. Her research focuses on core areas of green economy, and related areas. Since 2013, the activities of Michelle Mongo have largely refocused on environmental innovations with the point of tackling the question of innovation systems as a structuring and evaluation element of sustainable innovative projects. In this context, its current functions offer it the opportunity to invest more in research projects, training, networking of innovation actors and this particularly in the context of African countries.